Well, I hadn’t read book one, though I read the sample and loved it and its a bargain price I just hadn’t the time to fit another book in….but I’m on holiday in a couple of weeks ( Centerparcs with the grandkids again!) so need some easy to read, fun, non-review reads and this is definitely going to be one of them. I need books I can put down when they announce its time to go to do x,y,z and that I can read while watching them do whatever – I don’t need a book that’s going to be so complex I get confused when I have to put it aside in a hurry, and then when I pick it up I’m lost….this kind of read will be perfect. So – “raft (noun): when two or more otters rest together, often holding hands, so they don’t drift apart” Something I didn’t know but which sound beautiful, and is so appropriate to this read. It’s a romance, but so much more than just a love story. Its one where you’ll laugh with Hollie, cry a bit for her too, and where real life happens. I feel for her, the disasters she encounters in her everyday life just trying to help mirror the kind of things that happen to me. Some people are born to wake up immaculate and drift through life serenely, others of us wake up looking like we’ve been dragged backwards through a hedge and life seems to continue in that vein. I loved the people we met here – even Lucy Collins – they all added to the overall feeling of a story about real people. The goat: Dad kept goats and I think of them as Spawn of the Devil. His were like Mangala, ate everything, lived to escape and run rampage, destroying everything in the way, and one of them hated females. Yes, Sapphire loved men, hated ladies, and when mum or I approached it was head down, hackles up along her back – just like an aggressive dog – and beware if we got within butting range. She meant business and we had plenty of bruises to prove it. She destroyed a few clothes too so Mangala’s antics were very believable. Lucy, one moment I hated her and the next she’d do or say something that made me feel so sad for her. Miss Betty, a mum everyone should have, and Hollie’s wondeful dad Nurse Bob. Then there’s Ryan and God, that man is just so perfect. 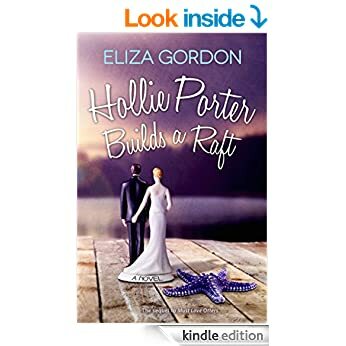 He knows Hollie so well, adores her, and it seems he’d move heaven and earth to keep her happy. Having had an ex who was fame and money hungry rather then wanting him for himself he values the way Hollie feels and its just so beautiful to see the way he takes her disasters in his stride. Stars: Five, its a fabulous read and one I’ll definitely read again.